Thomas Jerome Kingston Bakhap, tin miner, was born in the Benevolent Asylum, Ballarat, Victoria, on 29 October 1866, the son of Margaret Geneva Hogan, an eighteen-year-old Irish girl residing in Smythesdale. The identity of the father does not appear on Bakhap’s birth certificate, registered in the name Kingston. Subsequent claims by his mother (whose own birthplace is cited variously as Callao, Peru, and Limerick, Ireland) that his father was Spanish cannot be substantiated. In 1868, Margaret Hogan married George (Gee) Bak Hap, a native of Canton, with whom she had a son, Simon. George Bak Hap gave his name to the infant Thomas Kingston. Despite his entirely Caucasian origin, Bakhap identified strongly with Australia’s Chinese community. He did nothing to dispel but rather encouraged a widespread assumption that he was ‘half-Chinese’, which has led to an understandable, but erroneous, claim that he was one of the first Australian legislators of non-European background. In 1887, evidently in anticipation of the forthcoming intercolonial conference on Chinese immigration, Bakhap published, anonymously, a pamphlet entitled The Chinese Question impartially analysed by a Chinese-Australian in which he vigorously rebutted charges of immorality and other calumnies made against the Chinese. Following the onset of his public career in Tasmania, the island’s Chinese community increasingly turned to Bakhap for guidance. He remained a staunch champion of Chinese Australians and people of part-Chinese descent, although he endorsed the White Australia policy. Typically, during his Senate career, he expressed acquiescence in the policy, while observing that it should be administered with a degree of flexibility in order not to antagonise Australia’s powerful Asian neighbours. Nevertheless, as a self-described ‘Australian of mixed blood, a combination of Irish and Asiatic’, he seems to have been regarded as a natural ally by people of Chinese and other non-European backgrounds. During World War I, he robustly protested the ‘insulting’ provision in the Defence Act, which prevented men ‘not substantially of European origin or descent’ from combat roles in Australia’s armed forces. 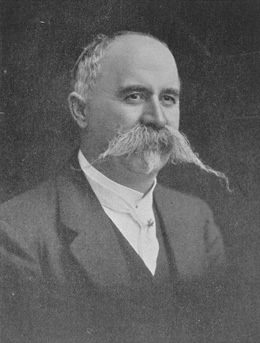 As a tin miner, Bakhap had limited success, but a strong interest in mining was evident during his career as the Member for Bass in the Tasmanian House of Assembly (1909–13). His entry into politics was partly the culmination of his involvement in lobbying on behalf of the Tasmanian mining industry. A moderate protectionist, he was a progressive Liberal, concerned with the amelioration of the condition of the working class. Having served almost four years in the House of Assembly, he resigned to stand successfully for election to the Senate at the 1913 federal election. Bakhap was an outspoken imperialist. He regarded Australia’s strategic self-interest as inextricably entwined with the British Empire’s, and was a firm believer in strengthening Australia’s position as an arm of that Empire. He staunchly supported the expansion of the Australian fleet and pleaded for the adoption of a large professionally trained standing army. According to Ernest Scott, he was the first Australian political figure to advocate conscription during World War I. Early in the war, he attempted to kindle support for conscription among his parliamentary colleagues, not because he despaired of recruitment figures, but because conscription would furnish military planners with precise numbers of troops available. He believed conscription to be ‘equitable and democratic’. In March 1917, Bakhap became embroiled in controversy, when he and his fellow Tasmanian Senator, J. H. Keating, made it clear that that they would not support the leader of their own Party, Prime Minister W. M. Hughes, in his proposal to prolong Parliament. Thus it was Bakhap and Keating who precipitated the May 1917 federal election. Bakhap and Keating represented the view of those Tasmanians who felt slighted by the way in which Hughes apparently had manipulated Tasmanian Labor Senators Long, Guy and Ready in order to attain the required Senate majority for the prolongation. The votes of Bakhap and Keating were decisive in gaining Senate approval for a royal commission to investigate events surrounding the prolongation. Bakhap and Keating, both Roman Catholics, then found themselves accused by the notorious Protestant sectarian, Critchley Parker, proprietor and editor of the Melbourne-based Australian Statesman and Mining Standard (and a strong supporter of Hughes) of subordinating ‘the interests of the country and of the Empire to the interests of the Roman Catholic Church and of Ireland’.Bakhap and Keating responded by mounting a successful libel case against Parker. The case came before Mr Justice Ewing, who awarded each senator £450 in damages. Later in the Senate, Bakhap accused Critchley Parker of being a ‘dangerous fanatic’ who ‘ought to be in bedlam’. His advocacy of progressive liberalism—evident in his consistent support of proportional representation—sometimes faltered. In November 1916 Bakhap advocated the ‘guillotine’ for strikers who were causing Tasmanian crops to rot on the waterfront. He also gained a reputation as an opponent of women’s rights. How justified this perception was is unclear, but he seems to have taken a traditional view of the marital relationship, and he described feminist advocates of birth control as ‘unsexed women’. Holding to his belief in a strong Australian defence policy, he argued that very large families of ‘fifteen or sixteen’ children should be encouraged. ‘Motherhood must be exalted … Fecundity is going to be Australia’s salvation’. He resisted attempts to increase the country’s population through non-Anglo-Celtic European immigration. After World War I, he strenuously opposed immigration from Eastern Europe and the Balkans on the grounds that ‘We want in Australia people of the same race as ourselves’. An additional reason for refusing admission to Eastern Europeans was that some of them had recently perpetrated pogroms against Jews. In Senate debates, Bakhap was an impressive speaker and a frequent interjector. His speeches reflect a deep sense of history, prodigious reading, a keen interest in defence and foreign affairs, and a good sense of humour. He was a man of uncommon perspicacity regarding Australia’s place in the world. He believed that Australia’s security would depend increasingly upon the protection of the United States. Indeed, he was a notable advocate of fostering Australian-American friendship, along with his Senate colleague, P. J. Lynch. Bakhap considered that Australia should extend to Britain ‘our left hand, which is nearest the heart’—and to the United States ‘the right hand of friendship’, adding that by such joint efforts in the cause of peace, Australia would be able to maintain interests in the Pacific Ocean so as ‘to secure the welfare of the two great Democracies of the world for centuries to come’. This conviction led Bakhap to support a call made early in World War I by Senator Lynch for Australia to establish a diplomatic presence in the United States. In 1917, the Senate unanimously passed Bakhap’s motion that ‘if the consent of the Imperial Government can be obtained to the action being taken, it is desirable that an official representative of Australia should be accredited to the United States Government at Washington’. This was a modification of his original motion, which called for a ‘High Commissioner’ to be appointed. ‘I want something better than a trade commissioner’, he explained. ‘I want an individual who will be clothed with powers that will permit him to be diplomatically received, and to enter into diplomatic consultation with the United States Government in regard to all matters affecting Australia and the Empire’. Although subsequently Australia did appoint a trade commissioner in the United States, Bakhap never abandoned his ideal of full diplomatic representation. Bakhap had an abiding interest in the impact of developments in the Pacific and in south-east Asia upon Australia, claiming that ‘the destiny of Australia as a portion of the Empire depends as much upon what is happening in the east’ as elsewhere. Conscious of the status of the Pacific Islands as ‘the outworks of our citadel’, he opposed the return to Germany of her colonies in the Pacific. He was suspicious of Japanese intentions in the Pacific. In 1921, his opposition to the renewal of the Anglo-Japanese Treaty placed him at loggerheads with the Hughes Government, which maintained that renewal would help to contain further Japanese territorial expansion in the region. Bakhap believed that the Paris Peace Conference had unjustly disadvantaged China by permitting Japan to retain Shantung province. Acknowledged by Prime Minister S. M. Bruce as the Federal Parliament’s pre-eminent authority on China and south-east Asia, Bakhap had an understanding of Mandarin in addition to fluent Cantonese. He firmly believed that Australians should be encouraged to learn the languages of their close Asian neighbours, particularly those of China and Japan. Shortly before the outbreak of World War I, he had visited China (where he met Australian sinologist, George Ernest Morrison). He came away convinced that German businessmen there, through their willingness to master Asian languages, were obtaining a disturbing competitive edge over Australia and the rest of the British Empire in trade with the east. Perhaps the apex of Bakhap’s Senate career was reached in 1922 when the Government sent him on a commercial fact-finding mission to China, and also, it seems, to check up on the activities of Edward Selby Little, the first Australian trade commissioner to China. In the ensuing reports, which he prepared for the Minister for Trade and Customs, A. S. Rodgers, Bakhap identified a number of commodities in which Australia might be expected to develop a flourishing export trade to China. He urged that Australia should make a more forceful thrust into the Chinese market, and recommended that the headquarters of the recently appointed Australian trade commissioner, based in Shanghai, should be supplemented by a subsidiary office in Hong Kong. Just as he had argued that Australia should not entrust her interests in the United States entirely to the British embassy in Washington, so he contended that Australia should not leave her trade representations in China entirely in the hands of British officials who could not always be expected to have Australia’s interests fully in view. Bakhap was a well-built, imposing man standing over six feet in height, his strong features dominated by a huge handlebar moustache. During his trade mission to China, he fell seriously ill. He had been re-elected to the Senate for a further six-year term in 1922, but owing to illness was absent from the chamber for several months before his death at his home, in Launceston, on 18 August 1923, aged fifty-six. In about 1895, he married Julia Cahill, a resident of Launceston, who survived him with their two daughters, Margaret, a concert pianist (wife of Harold Reece Dalton of Melbourne), and Judith, a nursing sister, as well as his aged mother. He was financially straitened, and as a result of his deathbed plea to the President of the Senate, Thomas Givens, the Government agreed to pay all his funeral expenses. In mourning his death, colleagues referred to him as a large-visioned man of eloquence, learning and integrity. His fellow-members of the United Commercial Travellers’ Association in Hobart remembered him with reverence. It seems that he was also a member of the Ancient Order of Druids and twice elected to its Grand Council. Helen Vivian, Tasmania’s Chinese Heritage: An Historical Record of Chinese Sites in North East Tasmania, Launceston, 1985; Neither relatives and close associates of the Bakhap family nor historians of the Tasmanian Chinese community could shed light on the identity of Bakhap’s natural father: appreciation is due to Margaret Cummins, Margaret Douglas, Helen Fletcher, Dinah Hall (who recalled the mother’s claim of a Spanish natural father, mentioned in Vivian, Tasmania’s Chinese Heritage) and Timothy Hubbard; as well as to James Jupp, Sue Walden, and Mo Yimei. Bakhap himself insisted: ‘I have no English blood in my veins’—CPD, 23 April 1915, p. 2589, 24 August 1921, p. 11217. The original surname of George Bak Hap was Gee, Bak Hap being his given names; Gordon J. Black, T. J. K. Bakhap (1866–1923) A Chinese-Australian?, BA (Hons) thesis, University of Tasmania, 1992, p. 4; Examiner (Launceston), 20 August 1923, p. 9; Vivian, Tasmania’s Chinese Heritage; Sue Walden, ‘Chinese in the North-East’, Launceston Historical Society 1991 Papers and Proceedings, pp. 67–79; Black, BA (Hons) thesis, pp. 4–5, 9. Mercury (Hobart), 20 August 1923, p. 7, which contains a photograph of Bakhap; Additional information from Margaret Douglas, executor of the will of Bakhap’s younger daughter, Judith; Black, BA (Hons) thesis, pp. 5, 9; Vivian, Tasmania’s Chinese Heritage; Mercury (Hobart), 20 August 1923, p. 7; Black, BA (Hons) thesis, pp. 10–12; Daily Telegraph (Launceston), 23 November 1887, 11 January 1888; Tasmanian Mail (Hobart), 26 November 1887, p. 17, 3 December 1887, p. 17, 10 December 1887, p. 17; Mercury (Hobart), 20 August 1923, p. 7; Black, BA (Hons) thesis, pp. 18–20; CPD, 1 March 1917, p. 10765, 20 September 1922, pp. 2405–2406, 14 March 1923, p. 364, 7 April 1921, p. 7250, 24 August 1921, pp. 11217, 11218, 12 March 1920, p. 353, 5 May 1921, p. 8065, 19 November 1914, pp. 774–775. Mercury (Hobart), 20 August 1923, p. 7; Black, BA (Hons) thesis, pp. 13–20; CPD, 14 March 1917, pp. 11343, 11423, 9 October 1919, p. 13127; Black, BA (Hons) thesis, p. 22; CPD, 19 November 1914, p. 776, 12 November 1914, pp. 546, 550–551, 19 November 1914, p. 773, 21 April 1915, pp. 2427–2429, 16 April 1915, p. 2393, 15 July 1915, p. 4923, 14 December 1916, p. 9793, 9 February 1917, pp. 10400–10401, 1 March 1917, pp. 10764–10765, 12 July 1917, pp. 115–122, 23 January 1918, pp. 3416–3417, 27 June 1919, p. 10213; Leslie C. Jauncey, The Story of Conscription in Australia, Macmillan, Melbourne, 1968, pp. 112, 115; Ernest Scott, Australia During the War, A & R, Sydney, 1943, p. 297; Black, BA (Hons) thesis, pp. 22–26. CPD, 5 March 1917, pp. 10924–10931; Scott, Australia During the War, pp. 383–392; Australian Statesman and Mining Standard (Melbourne), 19 April 1917, pp. 245–246; Argus (Melbourne), 5 May 1917, p. 16; CPD, 14 June 1918, p. 5996. CPD, 2 October 1913, p. 1735, 14 March 1917, pp. 11347, 15 October 1919, pp. 13324–13327, 3 March 1920, pp. 100–101; John Uhr, ‘Why We Chose Proportional Representation’, background paper for conference to mark 50 years of proportional representation in the Australian Senate, Parliament House, Canberra, 5–6 August 1999; Marilyn Lake, A Divided Society: Tasmania During World War I, MUP, Carlton, Vic., 1975, p. 83; CPD, 14 March 1917, p. 11353, 17 September 1919, p. 12374. CPD, 29 July 1915, pp. 5474, 5475, 26 July 1917, pp. 502–506, 9 August 1917, pp. 909–911, 13 June 1918, p. 5978, 6 May 1920, pp. 1848–1849, 19 July 1922, pp. 522–525, 14 March 1923, pp. 361–362. CPD, 16 April 1915, p. 2394, 19 July 1917, pp. 294–295, 13 June 1918, p. 5981; Black, BA (Hons) thesis, p. 29; CPD, 13 June 1918, pp. 5978–5980; T. J. K. Bakhap, ‘Report on 1914 Visit to China’, 20 March 1916, A2939/1, NAA; CPD, 6 May 1920, pp. 1849–1851, 19 July 1922, p. 524. CPP, Report by Senator Thomas J. K. Bakhap on trade between the Commonwealth and China, 1922. Mercury (Hobart), 20 August 1923, p. 7; Examiner (Launceston), 20 August 1923, p. 9; Information received from Margaret Douglas and from Margaret Cummins; Letter, T. J. K. Bakhap to George A. Monahan, Clerk of the Senate, 12 June 1923, letter, T. J. K. Bak Hap [sic] to Thomas Givens, 17 August 1923, telegram, Thomas Givens to Julia Bakhap, 24 August 1923, letter, Margaret J. Bak Hap [sic] to Thomas Givens, 4 October 1923, Senate Registry file, A8161, S.16, NAA; CPD, 20 August 1923, pp. 3042–3043, 21 August 1923, pp. 3072–3074; A pen and ink drawing of Bakhap is held at the National Library of Australia, Canberra. This biography was first published in The Biographical Dictionary of the Australian Senate, vol. 1, 1901-1929, Melbourne University Press, Carlton South, Vic., 2000, pp. 252-256.